There's nothing nicer than a well-tended, healthy vegetable garden; there's nothing worse than seeing weeds encroach on your garden soil and threaten your young (or established) plants. Herbicides are powerful and take care of weeds quickly. Since they are so powerful, they should be a last resort and always applied with careful attention to package directions. Organic herbicides are available and can be a better choice for the garden, the soil, and the water supply. This type of herbicide is a preventative method (not a product name) that stops weeds before they even reach the surface of the garden soil. You must apply it before planting or transplanting vegetables into the soil, or it will kill any seeds or seedlings already planted. Preplant herbicide is usually granular and should be worked into the garden soil at a depth of two to four inches. In general, you want to wait one to three weeks after applying herbicide to plant vegetables. The various brands provide guidelines on planting time. Most often applied as a spray, a pre-emergent herbicide can be applied to the garden soil after vegetables are planted but before weeds emerge from the soil. If applied properly, it does not harm plants and prevents any weeds from seeing daylight. Some pre-emergent herbicides need watering after application to push them down into the soil where the weeds are beginning to grow. If you didn't get there in time and the weeds are already sprouting, this is the herbicide you need to apply. In large applications, such as farms, you simply spray the herbicide over everything: vegetables and weeds. 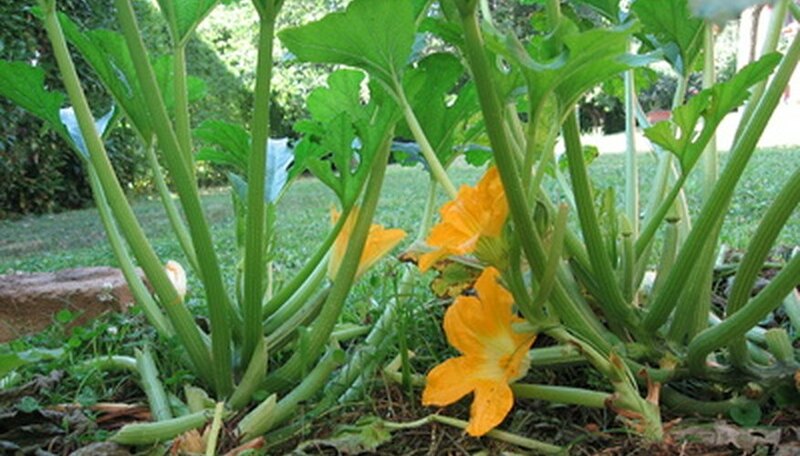 In the right proportion, it should not harm vegetable plants but should kill weeds. For home gardeners, using a more controlled herbicide in a smaller spray bottle can deal with excessively weedy patches without harming vegetables. The spray should be mixed and applied according to package directions and then directed toward the weeds, avoiding growing vegetable plants.